How we got to be the zoo we are today was a long and winding journey. The Zoo is home to more than 350 animals, representing over 100 different species. 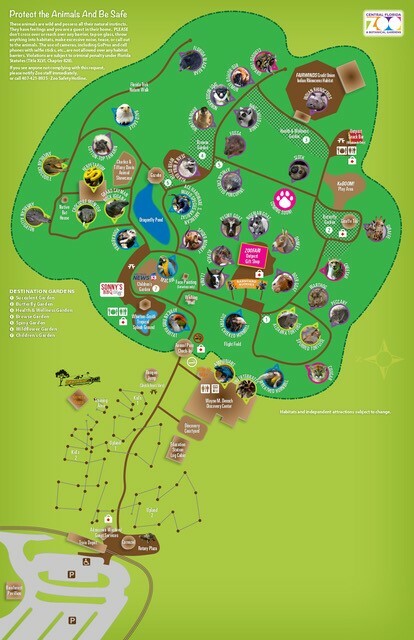 The Central Florida Zoo & Botanical Gardens is a conservation resource providing experiences that excite and inspire children and adults to learn and act on behalf of wildlife. The non-profit, 501(c)3, education and conservation organization, under the leadership of a 16-member, volunteer board, operates the Central Florida Zoo & Botanical Gardens in Sanford, FL. The Central Florida Zoo's cutting edge conservation facility, built specifically for the propagation of the Eastern Indigo Snake, located in Lake County, FL.